Welcome to Week 8 of Year 7 at Paint Party Friday! This week our random number generator chose #42 - Pauline Leger. Pauline had a lot of art to show and words to express how painting soothes her heavy heart Please drop by and check out her post and see her other images and this work while in progress! Hope art and creativity help you this week! Welcome to Week 7 of Year 7 here at PPF! Have a wonderful and inspired week! Welcome to Week 6 Year 7 of Paint Party Friday! A Happy Easter weekend to those who celebrate! This week our random number generator chose # 23 - Arnoldo Romero. 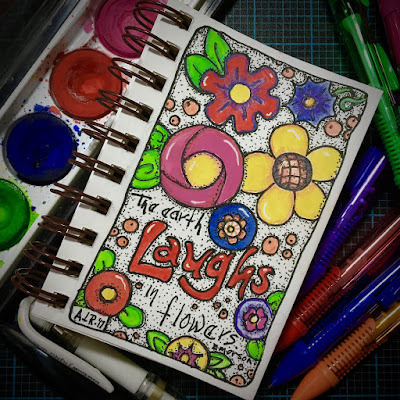 As he usually does, Arnoldo has a number of creative pieces to show us, including this lovely, happy journal page. Please visit him to check out the rest of this week's creativity. Welcome to Week 5, Year 7 of Paint Party Friday! This week, the random.org number generator chose #37: Tammie Lee. 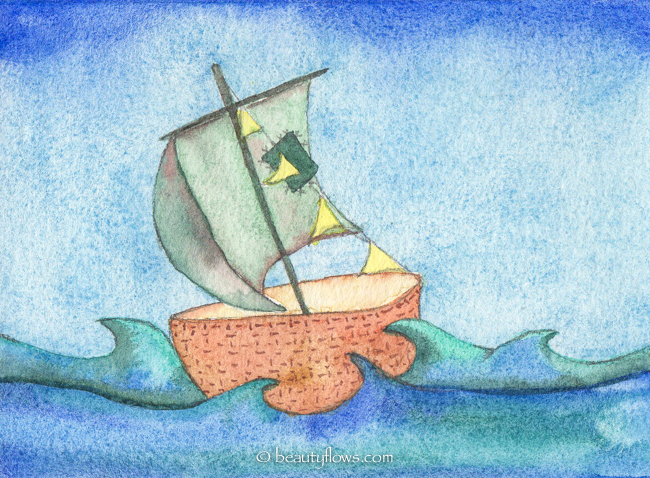 Last week Tammie Lee shared a soft, beautiful, and very peaceful painting of a sailboat. Be sure to stop by her blog to find out how the painting was relevant to her week. Wishing you a sail full of wind to carry you on many painting adventures this week!